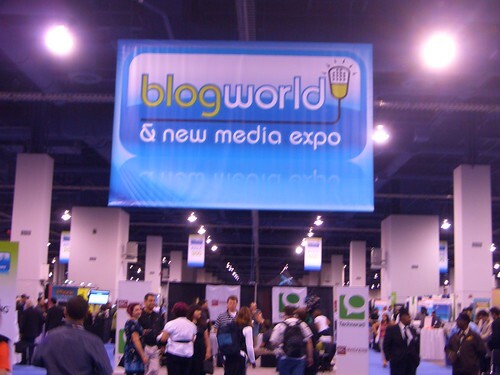 As promised,I took notes during the sessions at BlogWorld Expo in Las Vegas. This post was from the session "Making Money On Your Blog". My notes from the session, along with my personal insights, are shared below should you choose to read on. The session covered some basic topics that we all know and love... Aesthetics, content, regular posting, and then touched upon some additional topics such as: ad networks, affiliates, etc. ; the actual "money making" portion, some of which I was unaware of and still need to delve into deeper. If you want to skip straight to the "money making", just scroll down towards the bottom. If you want to make money on your blog, your blog should look like a professional blog. Aesthetics are important. It is suggested that you hire someone to create a "theme" for your or purchase a customizable theme. If you want to know more about getting started with Wordpress themes (of if you don't even know what I mean when I say "theme") perhaps you should start HERE, this is where I wrote about getting started. The number one rule. Have well written, concise and compelling content. Easier said then done. Writing for a particular niche will also help sites with low traffic generate money from ads. For example, a general "travel blog" may have less targeted traffic versus a travel blog that specifically targets a particular destination. Such as my travel blog for Turkey - yes, that was a not-so-covert attempt at self promotion. One other rule we bloggers all know but have trouble putting into practice is regular posting. The best way to generate traffic is to WRITE. Posting regularly (that could be twice a day or twice a week depending on your topic and audience) will generate more traffic. One suggestion was to schedule posts. Both Blogger & WordPress have a post later feature. You can write all your content when you have time, or you are "feeling it," and simply schedule your posts to publish for a later time or date. Another key component to making money on your blog (or any site) is to keep people engaged, ON the site. Keeping your readers engaged and making it easy for them to navigate from one post to another related post increases the likely hood of them clicking on an ad. Keeping a section for labels or a tag cloud help but also having links to "Related Posts" at the bottom of each blog posts helps. I just started to do this a few weeks ago. WordPress has a "plugin" for related posts but I am not sure that Blogger does, I do it manually. "Related posts" are a great way for new readers to read older content, if your "related posts" are older. Though it is not a rule, the longer someone spends reading your blog, the more likely they are to "convert" into a sale. I suppose the next step would be to talk about how to keep readers coming back to your site. I realize that this post is about how to make money on your site, but unless people are landing on your pages, the likelihood of you making money is slim. So let's cover that first.